Su-kam has recently added a new Solar Home UPS which is laced with an intelligent technology that takes it to a greater level as compared to its counterparts. It can charge battery through solar as well as mains at the same time. The Brainy Eco is a power back up system based on the advanced 3i Technology; a product developed on the lines of “Ek Nayi Soch” that involves futuristic imagination, newage innovation & digital intelligence. Brainy Eco Solar Home UPS is a solar hybrid system with Intelligent Charging Sharing Feature. The battery charges through both Solar and Grid by sharing the Charging Current. Founded on the principles of 4th Generation Micro Processor & DT-6S 6 Stage Battery Charger, Brainy Eco has without doubt the most impeccable reputation of being an intelligent product that offers you uninterrupted power back up as well as enables you to enhance your battery life & in turn assists in saving power consumption. Brainy Eco is designed to give priority to the solar power and uses Grid/DG Power only when the solar power/battery charges in insufficient to meet the load requirements. It has solar priority, intelligent charge sharing, ATC (Automatic Temperature Compensation), powerful battery charging at 90V, and variable battery charging through mains. Powerful Built-In 30 Amp Solar Charge Controller : It has the strength to run Electrical Appliances and Charge the battery at the same time. User Settable Grid/Solar Priority : The user can select Grid Priority switch in High Power Cut conditions and Solar priority switch in Low Power cut conditions. High Efficiency : Battery Charging is done through Solar. It has 98% battery charging efficiency. Thus, increases the battery life by at least 6 months. Intelligent Charging Sharing : It charges the Battery First from Solar and then from Grid (Only if required). If battery needs 15A and Solar is giving 12A, then it will take only 3A from Grid. Automatic Bypass Feature : The amazing Automatic Bypass feature in Brainy Eco ensures that even after any internal problem in UPS, the inverter turns on the load bypassing the Mains without any glitches. Wiring is no longer a worry too and thus, the customer needs not to be dependent on any electrician for the basic repairs. Back Feed Protection Feature : To ensure that the inverter and the battery work efficiently, Brainy Eco has an inbuilt back feed protection feature. This keeps the battery safe from any damage and also stops the back flow of the voltage that keeps the battery unharmed. 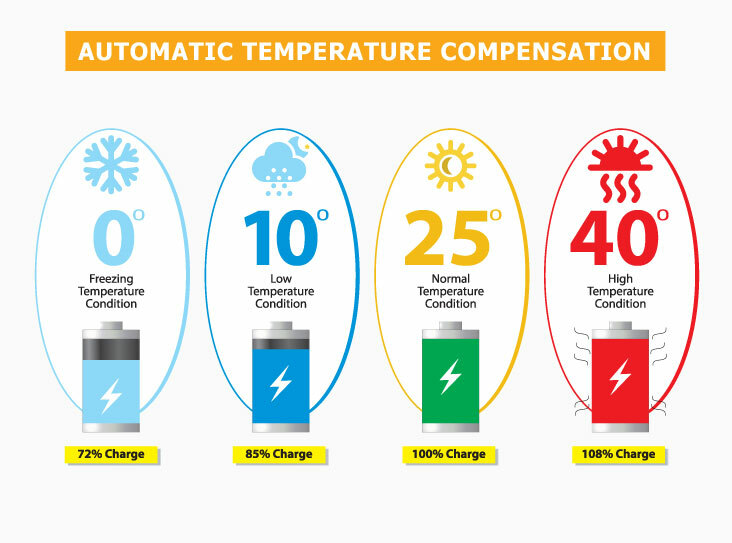 Automatic Temperature Compensation : Brainy Eco is equipped with ATC technology. During winters, the electrolyte contracts, that means Specific Gravity increases, so the boost charging voltage has to be increased. During summers, the electrolyte of the battery becomes more fluid, which means that the Specific Gravity decreases so the boost charging voltage has to be decreased. This is done through the smart ATC feature in Sukam's Brainy Eco inverter. It can increase the battery life up to 6 months. Cost Efficient : It is fully cost efficient as it is a hybrid home UPS. With solar panels, Brainy Eco can generate electricity through the renewable source of energy, that is, the sun. Therefore, the electricity bills are highly reduced. “We are very pleased to launch our first ever home solar UPS ‘Brainy Eco’. We are constantly evaluating solar applications in order to reach a wider customer base at the grass root levels as well. We realize that exploring various ways to utilize renewable energy sources for meeting our power needs is critical towards bridging the energy gap and contributing to the environment.” Said Kunwer Sachdev, Founder & MD, Su-Kam, reports IIFL. Su-Kam Power Systems Ltd. is India’s largest power solutions company which has presence in 90 countries worldwide and holds a record for being the only company in this field to file for over 100 patents. It manufactures more than 200 products including various solar products, UPS, batteries & customized solar solution. Founded in 1998, Su-Kam has grown exponentially to become an Indian MNC and a successful example of “Make in India”, as it has offices worldwide and over 40,000 channel partners across the globe. The first Indian power solutions company to win the title of ‘Superbrand’, Su-Kam is counted among one of the fastest growing companies according to India Inc.